White Ulster Marble Stone 8mm. Step 1: Choose your beads. 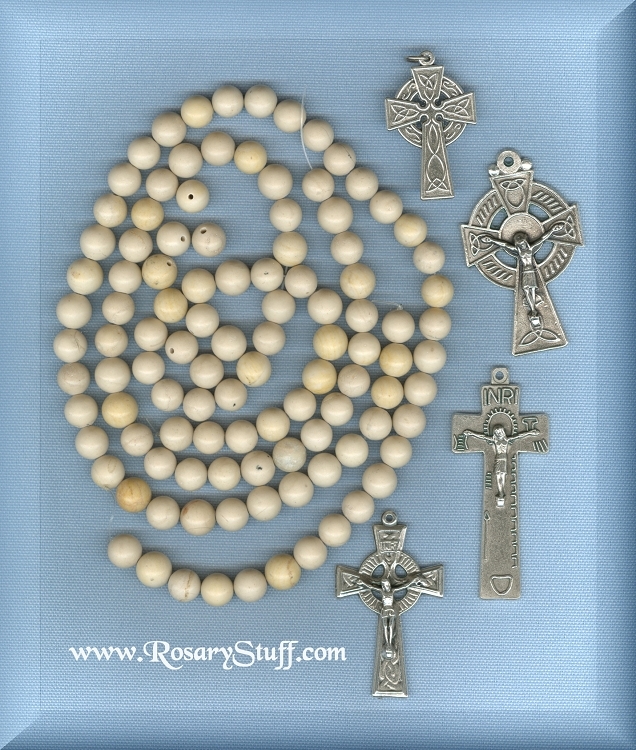 These 8mm white Ulster round STONE beads (from Ireland) would make a fantastic Irish rosary Although they are called "white", the color is more of a light tan/yellow variation. They are similar to a bone color. Would you like to use a different bead for the Paters? Click here to see what's available.